Merlot already began to be spoken about in the 18th century, but it was only a century later that it arrived in Italy and in the Veneto region, spreading over all of the areas where the Venetian nobility dwelled. Much consumed both by peasant families and by the nobility, it is considered one of the red wines which express Venetian oenological culture. 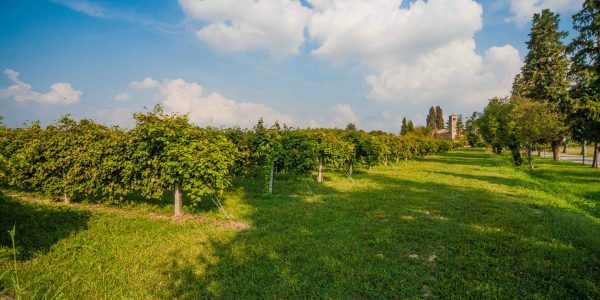 It is the red wine which is most consumed above all in the area around the city of Treviso. The Merlot DOC Venezia is an intense ruby red in color, lively and pleasurable to the eye. Striking are the aromas of red berry fruit and cherries, the notes of freshly mown grass, a hint of green peppers and, finally, in the background, mineral sensations. The flavors are pleasurable with their round and elegant tannins along with much balance, and savor. It is normally fermented and aged in stainless steel tanks, thereby preserving its varietal and mineral characteristics; the result is a wine which is fresher and with more drinking pleasure and finesse. When should the Merlot DOC Venezia be drunk? Tasting it is obviously obligatory if you should find yourself in front of a bistrot or tavern (“bacaro”), very popular places where Venetians like to get together to talk over any and all possible subjects. Although a red wine it is an excellent aperitif, specially at sunset. You can sip it while sitting in company at the sea or – why not? – during a dinner at a typical Venetian dining spot. With a Merlot DOC Venezia the atmosphere will be immediately warm and cosy, seasoned by a bit of candlelight conviviality while listening to the laughter of fellow diners and the gondolas with musicians aboard floating down the canals. The perfect match? With canapés and cotechino sausage, but you should also try it with spaghetti in an anchovy sauce or the typical venetian style liver (with onions). 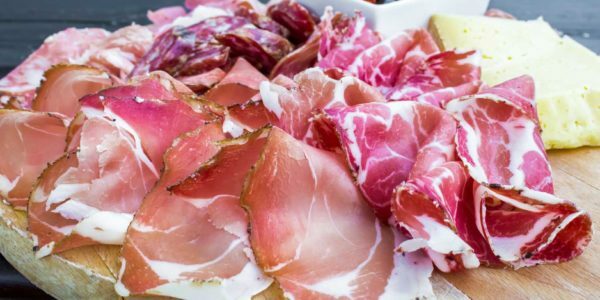 It gives its best as an accompanied to the game dishes prepared with the wild fauna of the lagoon or more simply with the local cheese and salami or the classic and delicious “castraure” (the first purple buds of the Sant’Erasmo artichoke plant) fried in batter. A fine Merlot DOC Venezia becomes the protagonist of the Venetian table when served with the “castradina de la Salute”, mutton once boiled for three days (nowadays for 3-4 hours) to recall the procession which marked the end of the plague and prepared with cabbage and vegetable broth. It is usually served on November 21st in all the bistrots and taverns of the city.